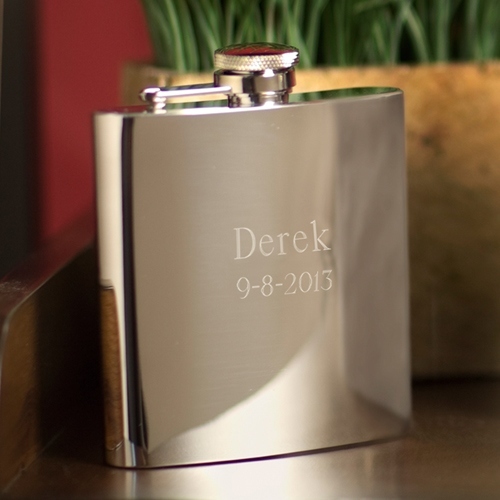 JDS Personalized Flask: Stainless Steel, High Polish, 7 oz. * This speakeasy-style flask holds 7 ounces of your favorite beverage in sleek, smooth stainless steel. 5.75" x 3.75" x 1"